While it’s great to have choices, sometimes having too many options can quickly become overwhelming. When you walk down the aisle of oral hygiene supplies at your local grocery store or pharmacy, you won’t be able to ignore the seemingly countless options of toothpaste, mouthwashes, floss, tongue scrapers, and toothbrushes. Even within one brand, such as Colgate or Crest you will notice nearly a dozen varieties of products. The good news is there is a brand and a product for every personal preference and particular concern. How do you decide though, which brands and products are best for you? 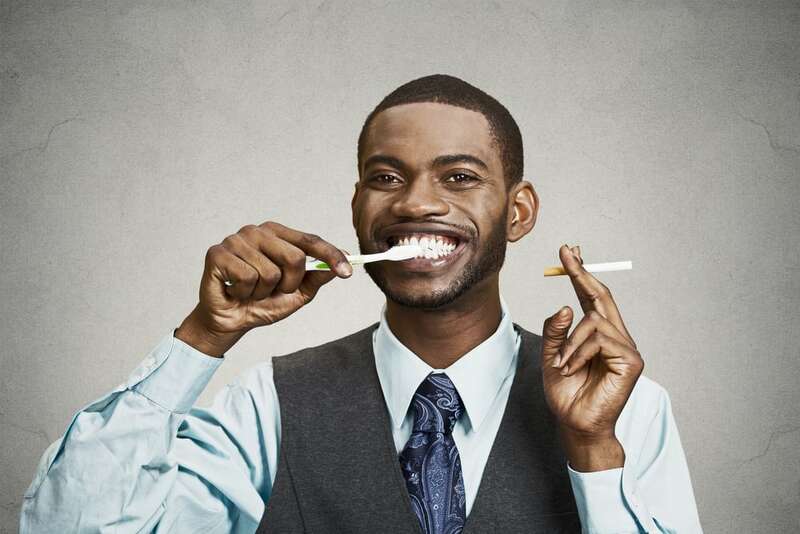 In this particular article, we are going to break down how to choose the perfect toothbrush. Soft, medium, or hard? While you might think that using a hard-bristle brush is better suited to removing plaque and stains, you are better off opting for a soft-bristle toothbrush. Hard bristles and hard brushing can actually lead to teeth sensitivity, enamel erosion, and receding gums. If the head of your toothbrush is too big, it will be challenging to reach way in the back of your mouth and to maneuver your brush in tight spaces. While there are large-head toothbrushes available, a small to medium-sized one will likely help you do a better job at keeping every one of your teeth clean. A toothbrush head that is around a half-inch wide and one-inch tall is pretty standard for an average adult mouth. This is totally personal preference; however, the entire Parker family uses a Sonicare electric toothbrush. Sonicare makes a variety of electric toothbrushes for all different budgets and toothbrush preferences. But, they all have been proven to remove up to ten times more plaque than a manual toothbrush, leads to up to seven times healthier gums, and removes a significant percentage of surface stains in just three days. If you decide to go with a manual toothbrush, make sure you choose one that is backed by a reputable brand. Your toothbrush is something you put in your mouth at least twice a day, and you want to make sure that it is made properly and using safe materials. There is also a great selection of non-plastic disposable toothbrushes. Many of these new eco-friendly toothbrushes are made out of bamboo. You are probably wondering how to know if you are purchasing a reputable brand of toothbrush or other dental products. If you see the ADA Seal of Approval on the packaging, you know you're buying a product that is safe and high quality. Make sure that you change your toothbrush or electric toothbrush head every three months. If you have any questions about what toothbrush you should be using, don’t hesitate to ask your hygienist or Dr. Blake or Dr. Steve. 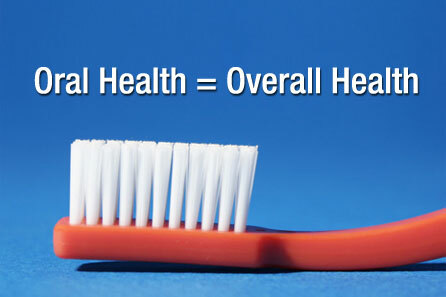 Using the right toothbrush is key to maintaining your beautiful and healthy smile. When most of us non-dental professionals think about our oral health, we tend to only focus on concerns like cavities, bad breath, tooth discoloration, crookedness (malocclusion), and bleeding gums. Our oral cavity is typically viewed as a completely separate entity from the rest of our body. If we have bad breath, it’s because we haven’t been flossing and brushing enough. If we have a toothache, it’s because we have a cavity or need a root canal. If our teeth are crooked, it’s because of genetics. While there is truth between these connections of symptoms and conditions, it is also important to consider that the symptoms you are experiencing in your mouth aren’t always directly linked to something else in your mouth. As dentists and hygienists at Parker Dentistry Facial Rejuvenation and Wellness, we know that the mouth is an excellent indicator of what’s going on in the rest of your body. Based on the alignment of your teeth, the condition of your gums, the coloration and texture of your tongue, and the smell of your breath, we can tell a lot about your current state of health. This information is then very useful so that you can act either curatively or preventatively to address the health concern depending on what we find. Just by having a look around in your mouth, we can identify potential signs of certain types of cancer, anemia, kidney or liver failure, gastroesophageal reflux, lung abacuses, bronchitis, tonsil stones, a sinus infection, vitamin deficiencies, and widespread inflammation. As we have discussed at length before, inflammation, in particular, is at the root of most chronic diseases, such as cardiovascular disease. When there is a lot of inflammation in your mouth, it is likely that there is a lot of inflammation in the rest of your body. Several conditions such as diabetes, kidney and liver failure, bronchitis, and gastroesophageal reflux can be guessed based on the distinct smell of your breath! At Parker Dentistry Facial Rejuvenation and Wellness we are firm believers in preventative healthcare, and it is through our oral assessments that we can help you help yourself in becoming your healthiest self. This is one of the many reasons why it is so important to stay on top of your oral health and keep to your twice a year professional dental cleanings. We care about more than just your teeth. We care about you as a whole!